The Milwaukee Brewers today announced the coaching staffs of their minor-league affiliates for the 2019 season. 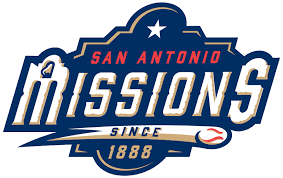 Rick Sweet will manage the organization’s new Triple-A affiliate, the San Antonio Missions, marking his sixth straight season as manager at the Triple-A level. Returning alongside Sweet are pitching coach Fred Dabney, coach Ned Yost IV, athletic trainer Aaron Hoback and strength and conditioning specialist Andrew Emmick. Hitting coach Al LeBoeuf rejoins the team after spending last season in the same position with Double-A Biloxi. 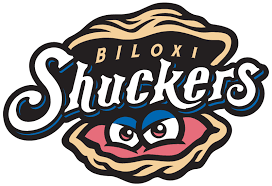 The Biloxi Shuckers will be led by manager Mike Guerrero for a third season. Chuckie Caufield returns as a coach and Nate Dine as the team’s strength and conditioning specialist, but the rest of Guerrero’s staff is new for the 2019 season. Bob Milacki and Jeff Bodenhamer join the Shuckers as pitching coach and athletic trainer, respectively, after spending last year in the same roles with Class-A Carolina, while Danny Santin joins the organization as Biloxi’s hitting coach. Santin spent the previous five seasons coaching in the Miami Marlins system. In Carolina, Joe Ayrault returns for his eighth season as manager of the team’s Class-A affiliate. Bobby Bell will remain the team’s hitting coach and Jonah Mergen the strength and conditioning specialist, but the rest of the staff will feature new faces. 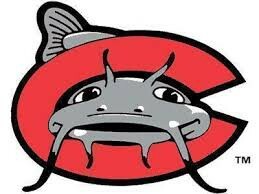 Cam Castro joins the organization as the Mudcats’ pitching coach after spending last year as the head coach at Lake Erie College, Fidel Peña will be a coach after serving the same role with Class-A Wisconsin last season, and Matt Deal will be the team’s athletic trainer. The Class-A Wisconsin Timber Rattlers will once again have Matt Erickson at the helm, marking his ninth consecutive season as the team’s manager. Jeff Paxson will return as athletic trainer and Connor McCarthy as strength and conditioning specialist. Jim Henderson joins the staff as pitching coach after coaching with the Helena Brewers in 2018, while Dave Joppie will serve as hitting coach after spending last year in the same role with Triple-A Colorado Springs. The Brewers’ top Rookie level team will be managed by Néstor Corredor for a fourth year. 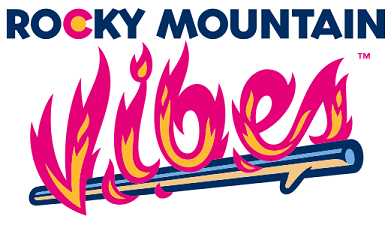 The Rocky Mountain Vibes will also have Nick Stanley as hitting coach after he served the same role with the DSL Indians/Brewers in 2018, Josie Harding as athletic trainer and Lucas Weitzel as strength and conditioning specialist. For the third summer in a row, Rafael Neda will manage in the Arizona League. He will lead the Arizona Brewers Blue alongside hitting coach Brenton Del Chiaro and new pitching coach Hiram Burgos. Yusnier Borrego will serve as athletic trainer and Hector Sánchez as strength and conditioning specialist. A new team for 2019, the Arizona Brewers Gold will be managed by Liu Rodríguez, who spent last season as the hitting coach for the Helena Brewers. Steve Cline will be the team’s pitching coach after spending the previous two seasons in the same role with the Timber Rattlers, while Bobby Spain joins the organization as the team’s hitting coach after serving the same role for the independent Gary SouthShore Railcats from 2016–18. Tony Diggs will serve as a special instructor for both Arizona League squads. At the Dominican Republic Academy, Victor Estevez enters his sixth season with the Dominican Summer League Brewers and his fourth as manager. Pitching coach Victor Moreno and hitting coach Luis De Los Santos return to the team. Natanael Mejia joins the team as a coach, Jay Williams as athletic trainer and Luis Rios as strength and conditioning specialist. The Brewers and Cleveland Indians will pair up for a third year in a row to create a joint Dominican Summer League team. Manager Alcides Melendez, pitching coach Jesús Hernández and hitting coach José Peña will help with the joint squad. Jennefer Torres will be the team’s athletic trainer and Tyron Carrasquillo the strength and conditioning specialist.